It's been more than two months since my last long-term update. Early March I mentioned that wave 3 should end soon which would be followed by a correction (wave 4). 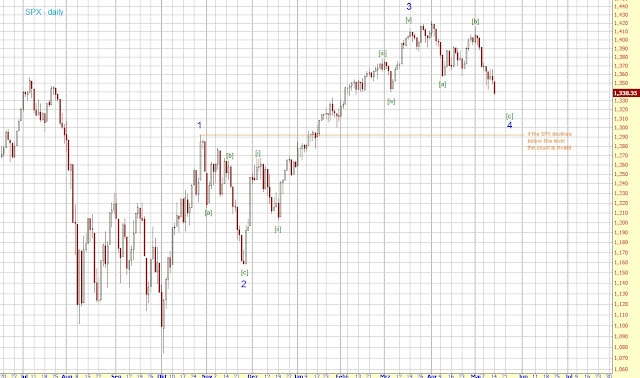 On March 19th wave 3 was completed and since then the SPX has been in a 4th wave sideways correction. 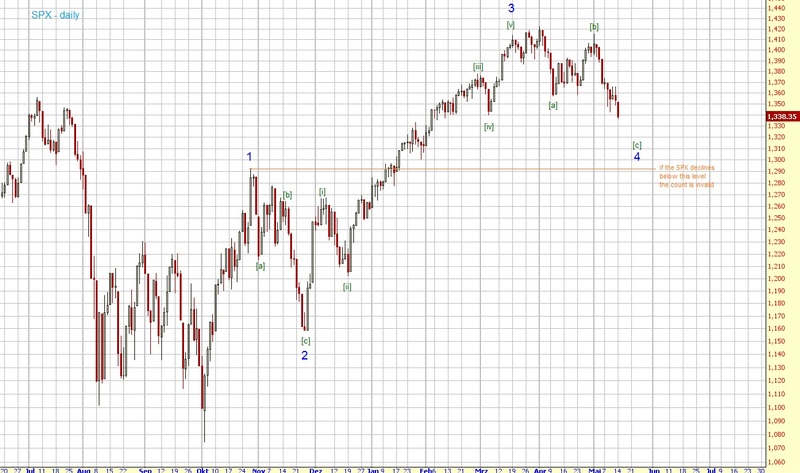 We already hit the lower end of my preferred target range (1340-70) for wave 4 yesterday. Wave 4 could go as low as 1290 though so you shouldn't just go long here because it looks nice. If you have a look at the previous medium-term lows, each of them was followed by a huge one-day rally. I think we could get the same this time again. So if we get a huge rally sometime soon the wave 4 low is probably in. Additionally, I'd like to see a break of 1370ish. Once wave 4 is completed wave 5 to complete wave (A) should follow and make new highs during summer. After that a wave (B) should unfold during fall. To sum up, I think we've already seen most of wave 4. I don't think we'll go much lower from here. 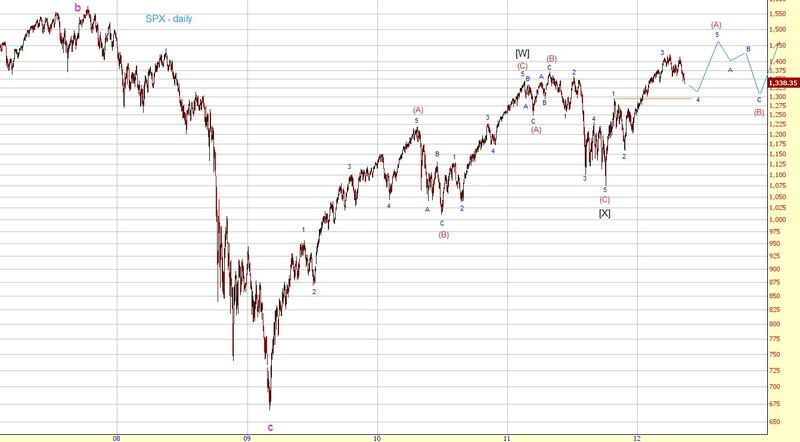 Since wave 4 is a sideways correction we could go sideways for another few weeks though. After that a fifth wave to new highs should follow. 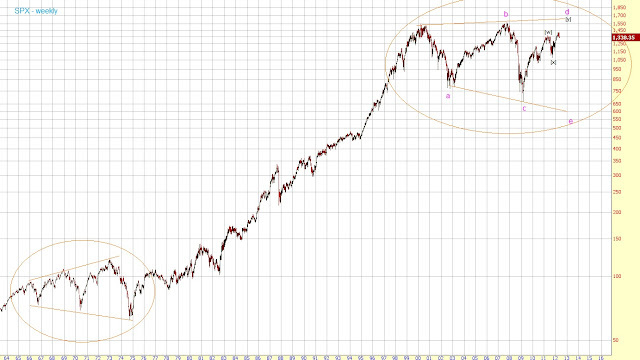 If the SPX declines below 1290 my count is invalid.